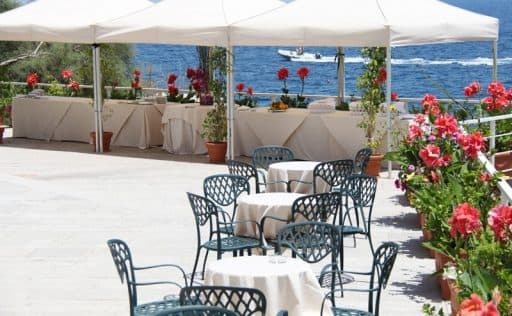 Sea View, business and culture. Hotel on the sea for a cruise experience. 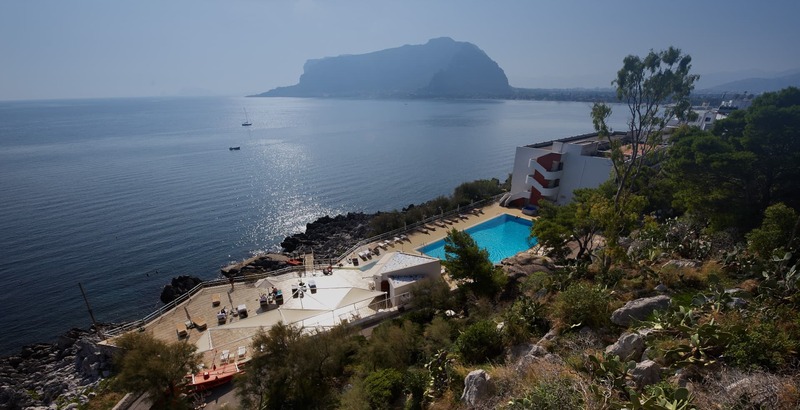 170 Rooms, half of them are with sea view in Palermo, Meeting center, 3 swimming pool with sea water, platform to get access to the sea, fitness center, 2 restaurants, sea view terrace, surrounded by cactus and pine trees. Discover our services. 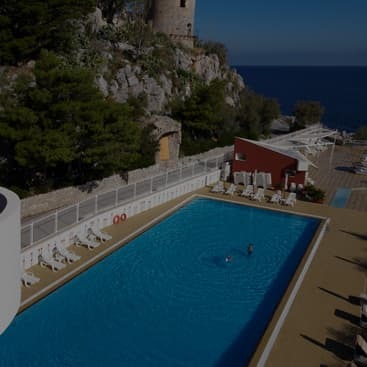 Half board with massage on the swimming pool area. 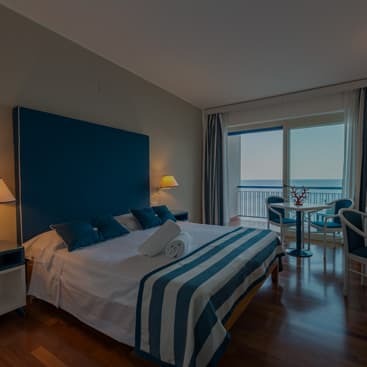 Take a look at the pictures of Splendid Hotel La Torre. Splendid Hotel La Torre is located on the seaside area of Mondello, 7 km away from Palermo city center. 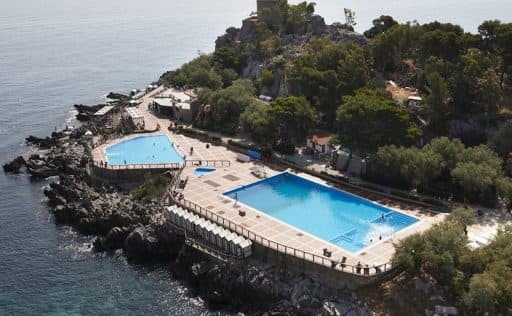 It is located on a rocky promontory on the sea and it is dominated by a Saracen tower called “Torre del fico d’india” (indian fig tower) from which there is a breathtaking view of both Mondello Bay and Capogallo Natural reserve. 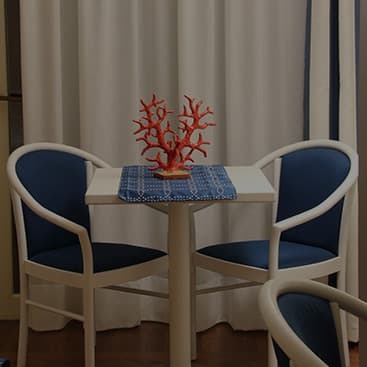 Half of the rooms and almost all the common areas such as restaurant, bar, meeting center, swimming pool, thanks to their special position, allow the guest to escape from reality and enjoy a privileged cruise experience. 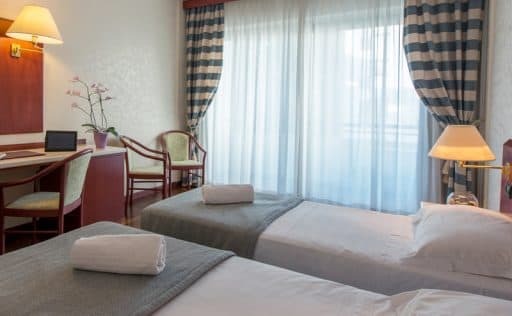 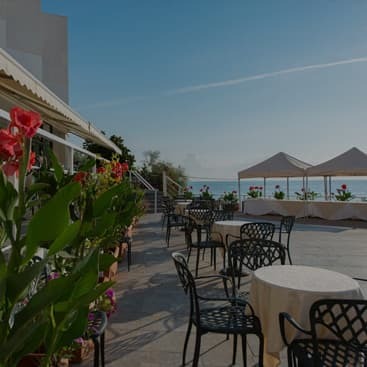 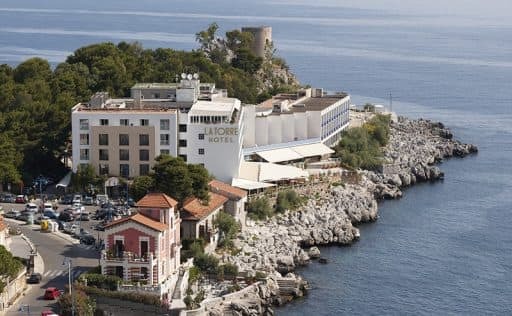 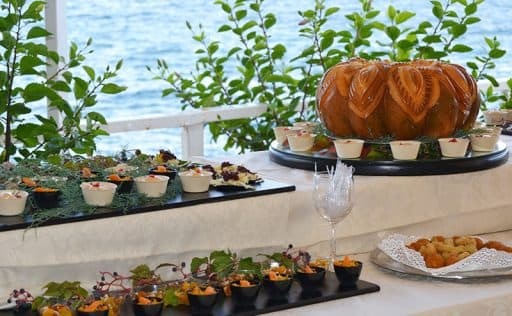 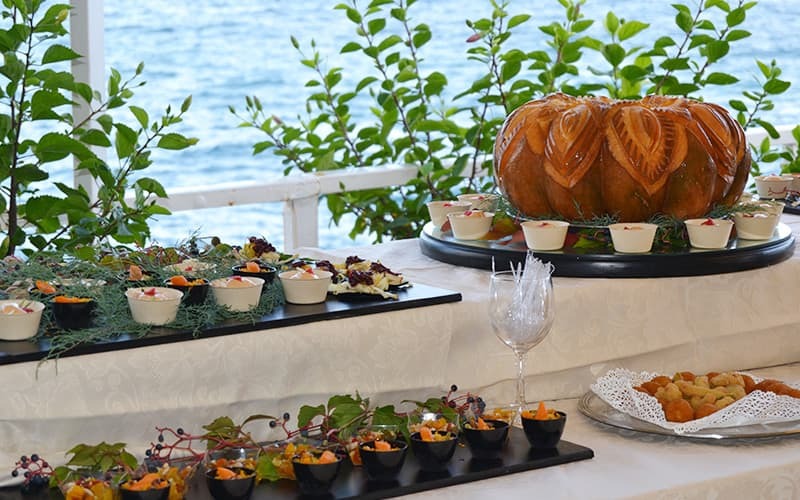 Only 30 km of highway connect Splendid Hotel La Torre to Punta Raisi / Falcone – Borsellino Airport. 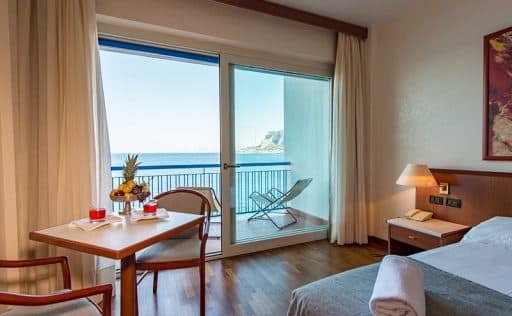 An idea location for whoever wants both to enjoy a relaxing stay on the sea and visit the city center of Palermo with its extraordinary monuments.